Fishing is hands down the best way to supplement your steady diet of dehydrated meals on a backcountry trip. If you’re backpacking in mountainous regions dotted by hundreds of lakes, rivers, and streams, having a quality fishing rod handy is essential. Fishing isn’t only a great way to supplement your backpacking diet. It’s also a fun sport to preoccupy a warm afternoon once you’ve set up camp for the day. Compete with your buddies to see who can pull in the best “keeper” of the day. The first consideration you need to address is the type of fishing you want to do. Those that don’t have a lot of experience fishing in the backcountry will easily find themselves frustrated if they start by investing in a fly fishing rod. While both methods are their own respective art forms, fly-fishing requires extensive knowledge of which types of flies, nymphs, and other insect life hatch at various times of the year. Fly-fishing is also a better technique for moving water. Spinners give you the ability to fish lakes of all shapes and sizes. In the backcountry, lakes are, for the most part, going to support larger life forms that make for better eating when you’re successful. 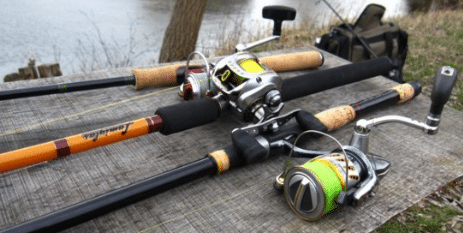 For the purpose of this article, the suggestions below all pertain to choosing the best spinning rod for backcountry fishing. Length is arguably the biggest factor when choosing a rod for backcountry fishing. You’ll need to strike a balance between a rod that will give you the leverage and power you need to cast well without taking up too much space in your pack. The biggest downside of choosing a longer rod is that you’ll have to find space for it. Of course, longer rods are better for casting because they store more energy. 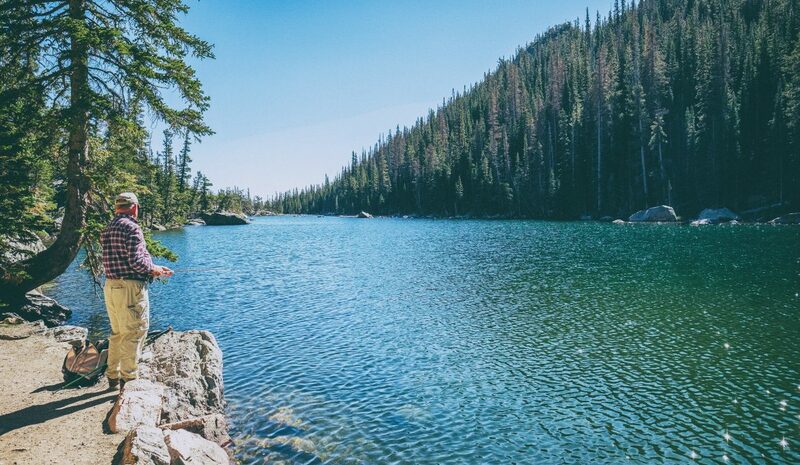 When fishing in the backcountry, you’ll be casting from shore almost 100% of the time. Having the ability to send a cast far enough out into deeper water, then, is important. That said, if you plan on fishing mostly small creeks or rivers, extra length wouldn’t be necessary. Generally speaking, try to narrow your selection down to rods in the 5 to 8-foot range. Even rods on the longer end of this spectrum can be broken down to fit more easily in your pack. Also, the weight difference for rods in this range will be rather minimal. Multi-part rods break down into pieces and they are usually stored in a case when you’re on the trail. 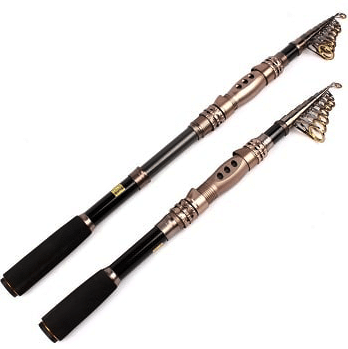 Telescoping rods, on the other hand, collapse down to a more manageable size when you’re not using them. There’s nothing worse than having your oversized rod snagging every tree branch as you’re trying to hike. Both of these rod types will help you avoid that, but there are pros and cons to each. 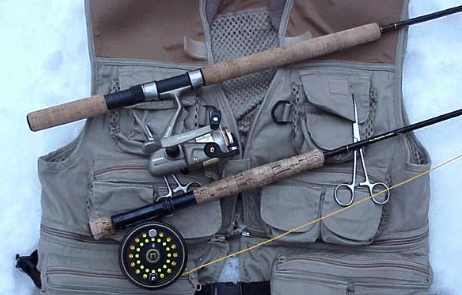 If you go with a multi-part rod, your best option for backcountry fishing will be a rod that breaks down into at least four parts. This makes each part a manageable size to be packed up and stored on the side of your pack. Multi-part rods typically perform better than their telescoping counterparts, but they come with the added disadvantage of having to re-string your rod every time you want to cast. Telescoping rods have the smallest footprint in terms of packing them away. They also have the added bonus of allowing you to keep the rod strung up for quicker accessibility when you notice the fish are jumping. When compared to multi-part rods, however, these rods tend to weigh more and perform worse overall. Most of the rods you’ll find yourself choosing between are going to feature either graphite or fiberglass construction. 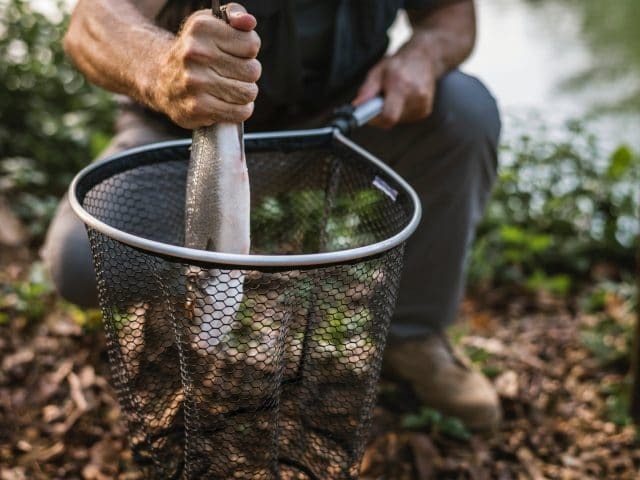 Although the cost of rods won’t differ much depending on which material is predominantly used in its construction, it’s worth noting that most high-end rods designed for backcountry fishing use graphite. Graphite is lighter and more sensitive than fiberglass. This means it is easier to detect a “nibble” and graphite rods tend to cast better than their counterparts. Fiberglass rods, on the other hand, are more durable than graphite, which comes in handy if you’re particularly rough on your gear. The Eagle Claw Pack-It Travel Spinning Rod is a fantastic choice for anyone just getting into backcountry fishing. 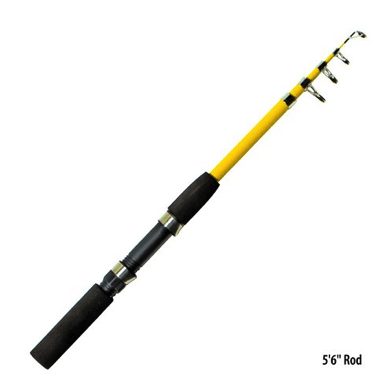 It’s a telescoping rod that offers easy setup and extends to a navigable 5’6” in length when in use. When you’re ready to hit the trail again, it collapses down to about two feet in seconds. It can be used in both freshwater and saltwater settings, and it supports lure weights between an eighth and a half-ounce. Don’t forget to investigate fishing permit regulations in your area before heading out. 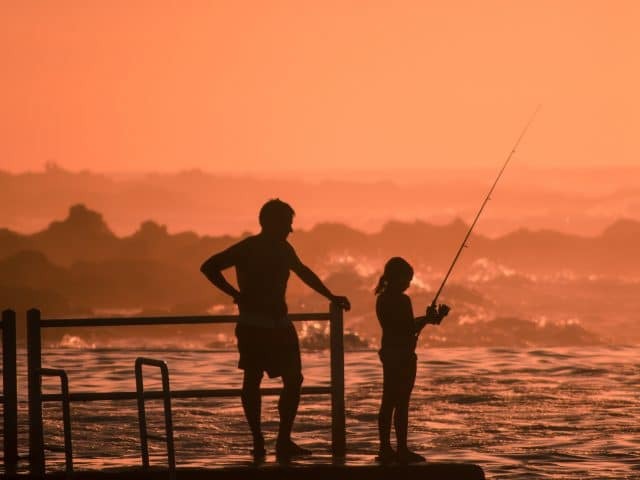 It’s also a great idea to check in with a local guide shop to learn what the fish are biting at different times of the year. 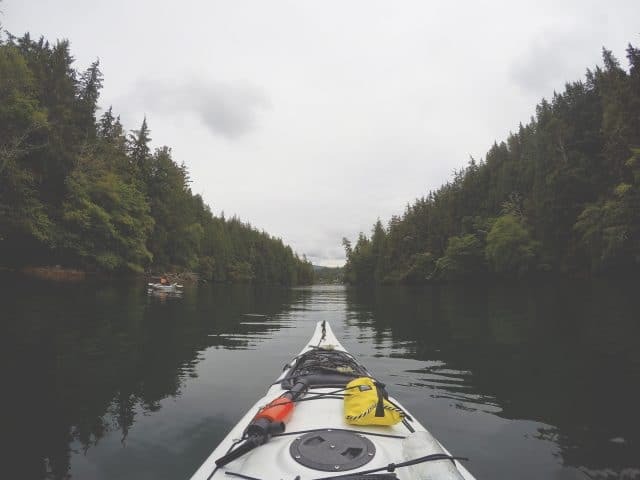 Wherever you’re heading, we wish you the best of adventures!